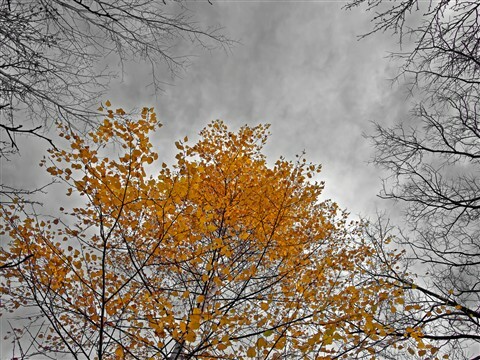 Bare branches reach out to the yellow-leafed birch, a reluctant holdout in late fall. Taken in suburban Toronto, Ontario. Notes: A RAW image processed and toned in PSE 9.